He first started to read for friends & others and predict their future events in their lives since he was age 20. View, CA from September 2001 till it closed in March 2003. 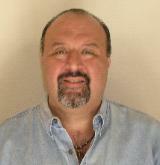 Since October of 2002 Edward has attended Northern California Psychic Fairs hosted by Holistic Living Expos. then the evening shows with Budman & Booger on KSFM 102.5FM in Sacramento from 2005 till mid 2007.
navigation links on the upper left of this page. long interview went very well. Archived Shows. (The June 13th, 2008 show will be available on June 15th, 2008 and later). by Edward Carrion and many other subjects. on the Chabot TV studio web site and the California Community College Satellite web sites. the Paranormal" presented by Image that TV dot com. informs the consumer and entertains the reader. are dealing with a so-called psychic frauds. in the upper left corner of this page. IMAGINE THAT TV & IMAGINE THAT WEB RADIO. sometime in the summer of 2008.
ear as though the voice is next to us. Thank for your time spent in reviewing my Media & Press Kit. your spirit guide, your angels, yours & others Akashic Records and those who have crossed over to the other side. person back to themselves or to become centered to clearly see their life paths, missions and lessons of life. peace about themselves and those who have passed over. To Listen or view the clips just double click on the Play Icon in the media bar window. repeat what I see, hear or feel ever if it a little naughty. World to the general audience. readings as part of the hotel's spa offerings. 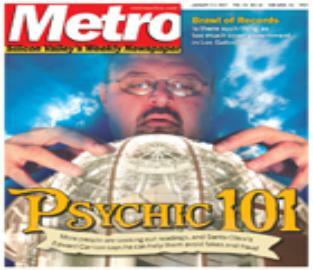 (an Audience show which answers the question; are 2 psychic mediums better than just one). The answer is a HUGE YES. Edward has been featured in several newspaper articles. The latest is from the Silicon Valley Metro on January 2, 2008. The picture is the front cover for the article. 2007. It will take 30-45 seconds to load. play arrow in the control panel. few moments to load and begin playing. mother's best friend for his own mother.